Of the many smells of the medinas of Morocco, one of the most pleasing is the smell of fresh baked bread from a furan (communal oven). 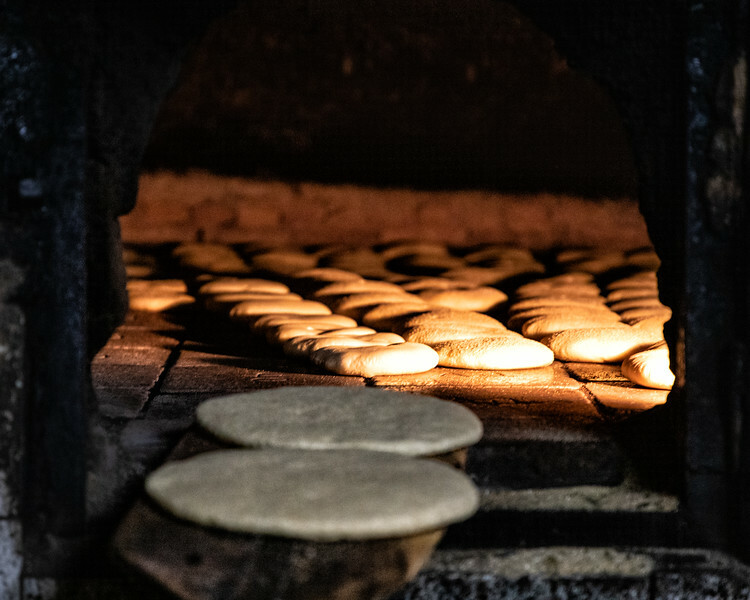 Most homes in the medina don’t have the luxury of an oven, so bread, cakes and other food requiring baking are taken to the local neighborhood oven. Locals make their own dough at home and then carry it to the bakery each day and for a small fee, the baker will oversee the cooking of each item and store it awaiting collection. Some women make a business by piggybacking off the bakery. Much like the home bakers, they bring fresh dough down to the oven and wait for it to be baked. But then they load the hot rounds onto boards and cover them with heavy blankets to retain warmth. The women set up post on street corners to sell fresh bread to passersby, or will make their rounds to restaurants that rely on their trade.